Huda Beauty is a brand that I absolutely adore and I am constantly checking Trendmood to see what Ms. Kattan is putting out. 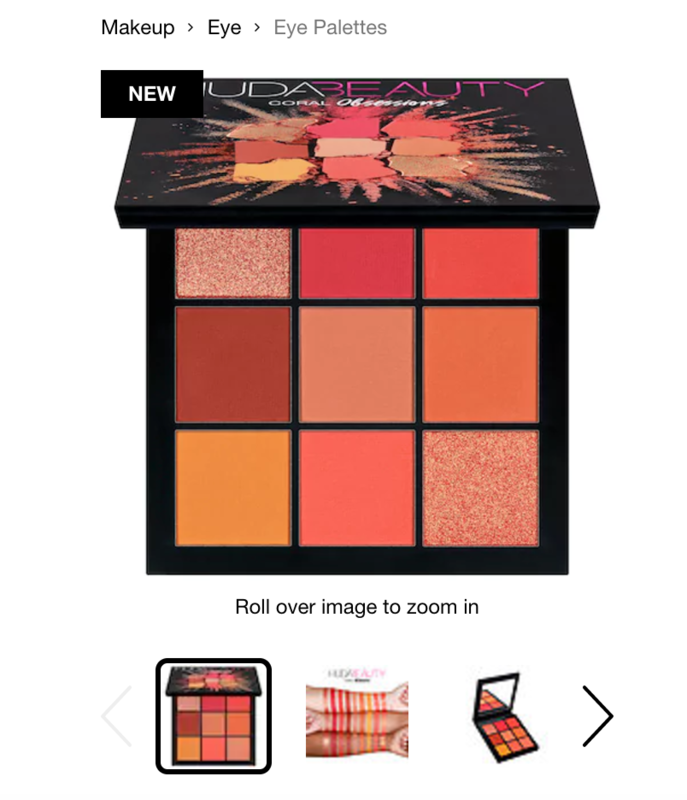 There has been a lot of mention of Huda Beauty as of late and after a few glamorous teaser shots, we’ve learned that new products seem to be new eyeshadow palettes! I kept seeing sneak peeks of a new product on Trendmood and I was so ready. My body was reading. My fingers were ready to hit “check out” immediately and when I found out that the new product was going to be an eyeshadow palette, I was even more excited. I was checking Trendmood like a madwoman to see what the new eyeshadow palette would be and when it was revealed, boy was I upset. Huda Beauty is re-releasing the Rose Gold palette. The Rose Gold palette which already exists and already works really well (just use your fingers people!) so, to say that I was disappointed is an understatement. The saving grace for Huda Beauty though are the new additions to the brand’s collection of mini eyeshadow palettes. I don’t own any of the mini obsessions yet as none of them really appealed to me but there are new colors that I am absolutely fawning over. Coral and Gemstone are the latest palettes to join the family and Coral, pictured below, looks like an amazing summertime palette. $27 for 9 pans of color sounds like a fair price to me and if these mini palettes are the same quality as Huda’s regularly sized palettes then I am more then ready to get these gorgeous colors on my lids. I don’t think I’ll be buying this palette online but rather going in store on May 21st to swatch them before I buy. If you feel bold or trust Huda’s formula, then these palettes are already available online. Once I do get this new palette, I’ll be sure to upload a review, swatches and maybe even a little tutorial.